More bad news from Target this week. Remember that data breach affecting about 40 million customers in frenzied shopping period that was the run up to Christmas Day? Ya, that one. Well, it turns out Target sort of low balled the number by 30 million. Target now says that 70 million customers were impacted by the data breach. This was confirmed by my bank when I received a letter from them on Wednesday evening because I'm one of the recently unreported 30 million customers. "Target Corp.'s holiday data breach was bigger than the company had previously said, penetrating more systems and compromising a new set of personal information affecting up to 70 million people. 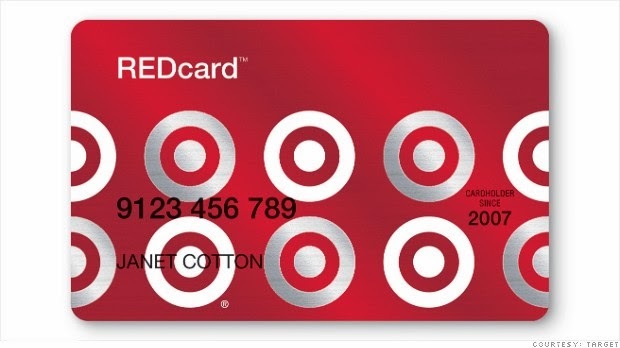 Target said the information was stored separately from the 40 million credit and debit card accounts that the company had previously said were affected. There was some overlap between the two sets of stolen data, but Target didn't say how extensive it was. The entry point for the attack has been identified and closed, spokeswoman Molly Snyder said." Well isn't that nice. The breach point has been closed. Sigh. Guess I'll be paying cash at Target from now on since I can't trust them to handle my customer information safely. Oh, and I'll be asking my bank for a new credit card too. My very nice bank reissued my credit card, which, as it turned out, arrived Saturday afternoon. If you haven't received your replacement credit or debit card, call your back on Monday and get your replacement card issued ASAP.